I’m a republican, but I have to hand it to Meghan Markle. She has managed to smash through barriers of prejudice that have held firm for centuries. Here we have one of the Windsor boys marrying a commoner with mixed-race parents from the colonies. She has a history of not only having opinions, also voicing them in public. But even more radical for the British royal family is that Markle has also been divorced. The Royal Family and the Church of England, which they head, hasn’t been kind to divorcees. This is despite the fact that King Henry VIII broke from the Catholic Church over the issue of his annulment to Catherine of Aragon, effectively laying the groundwork for modern divorce. Historically, divorce has been so unpalatable to the British establishment that they would rather lose a King than allow a divorcee into the fold. King Edward VIII abdicated in 1936 because he was not allowed to marry divorcee Wallis Simpson. Divorce also kept Princess Margaret from marrying her love Captain Peter Townsend. More recently – just 12 years ago in fact – Prince Charles was forbidden to marry Camilla Parker Bowles in a church because she had been married before. But in May next year, a British Prince will marry a divorcee, and both of the happy couple have divorced parents. While that’s certainly progress, have social attitudes really changed so much? Despite having had no-fault divorce enshrined in law since 1975 in Australia, there is still a lot of shame surrounding divorce. One in three Australian marriages end in divorce, yet divorce is still couched in terms of failure and speculation about what people did wrong. Married women are bombarded with messages and advice on how they need to work harder to maintain their marriages. And yes, I do mean women; relationship advice is almost always doled out to women rather than men. If a woman’s marriage does end, for whatever reason, it is her fault for not trying hard enough. Of course, most people enter into marriage with the intention that it will last forever. But as anyone who has been married can attest, you really don’t know what you’re signing up for when you say “I do”. In many cases, it is as much a matter of luck than anything else as to whether or not you and your partner grow and age in compatible ways. This is especially the case for couples who have children. So many of the qualities and attributes you would want in your co-parenting partner cannot be tested ahead of time. Is your husband going to step up and share the parenting and domestic load or is he going to expect you to sacrifice your career, independence, identity and leisure time so he can maintain his? This is not something that can be accurately tested with a puppy or a pot plant. As Caitlin Moran recently wrote in The Times, if a woman plans to have children, her life will only be as good as the man she marries. “If they then shack up with a self-pitying man who’s not very good at replying to texts, ‘freaks out’ when they have kids, doesn’t use the washing machine because ‘I’m just not good at stuff like that,’ ‘always’ has to see ‘the guys’ at the weekend to ‘wind down’, and flies into terrifying rages if, for example, he can’t find his favourite suede jacket – they are doomed,” Moran wrote. Aside from the challenges that kids introduce to a marriage, when you walk down that aisle full of hope and optimism you don’t really know how your future spouse is going to act when times get tough, when loved ones die, when people lose their jobs, get chronically ill, or have financial difficulty. Are you going to support each other and be a team or will your partner take their anger out on you, control you, abuse you, or just withdraw and ignore you for years? If your marriage is a misery and if your problems can’t be solved then divorce can be a relief, a celebration of a fresh start, and a declaration that you deserve better. My mother remained in an unhappy marriage for 30 years. If my father hadn’t had left her, she might still be in it. It took her years to rebound from the sense of failure of her divorce, ruminating over what she should have done differently, how she could have made my dad stay. But now she’s remarried to someone who is far more compatible. Her divorce was not a failure, but a success. It was probably one of the best thing that’s ever happened to her. Living life in an unhappy marriage is a far greater tragedy than a divorce ever could be. Marriage is something to be enjoyed, not endured. 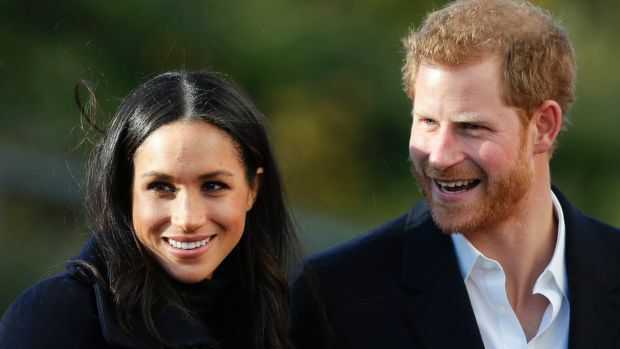 It’s surprising to think of the British royal family as socially progressive, but if they are now capable of seeing divorce as just part of a person’s backstory rather than a reflection of moral worth, then it’s time for the rest of society to catch up. In my 20s, I made the mistake of confusing my f–kability with my credibility. Does ‘the best video on the internet’ really make a valid point? This celebrated video about iPhone addiction isn’t the masterpiece it’s being hailed as.